Although the roof is an integral part of a house, the fact is that its maintenance is not usually brought up until it starts to leak or it becomes unsightly enough as to affect the overall appeal of the structure. Either way, roof damage is sure to cause a lot of problems, potentially affecting the house’s livability or saleability, whichever the case may be for you. 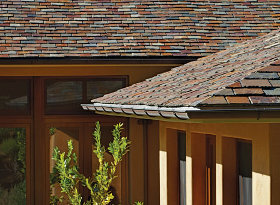 Still, it does not hurt to give your roof an opportunity at maintenance and repair. You would not want to wait until the damage becomes so bad that the only other recourse left for an effective emergency roof repair would be for you to replace your entire roofing system altogether. That’s why you should not hesitate to call in professionals to help you out in case the need does arise to put your roof under maintenance check and repair. When you do decide that you want to have a great roof which you won’t have to worry about for a long time, our roofers can provide exactly the service that you need. 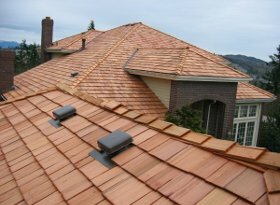 Serving as a roofer for over seven decades in Palo Alto, Menlo Park, and other areas of the San Francisco peninsula, our roofing contractors are sure to combine their extensive roofing experience and expertise to ensure that you are able to get the most optimum performance from the roofing materials you choose to invest in, whether for residential or business structures. Be it a new roof you need built from scratch or a replacement for re-roofing, we have the a complete stock of materials for whatever job required. 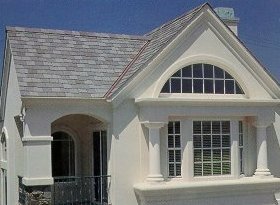 Apart from being certified in the installation of many the highest quality roofing materials by the manufacturers themselves, we also are able to provide you professional design services that ensure you get a custom roof that goes with the overall vision you have for your home or building. For those with existing roofs, we don’t just install or replace using the materials we’re certified to use, we are also able to complete emergency leak repairs, install or repair gutters, apply roof flashings, and more. 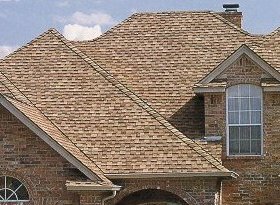 You have several choices when it comes to roofing materials, and Shelton Roofing can help you make an informed decision that best suits your needs. Below are some examples of the different styles available, all of which carry our commitment to excellence and a worry-free guarantee! We always have the best interest of our customers in mind, and are capable of providing roofing solutions that can fit your different needs and budgets. 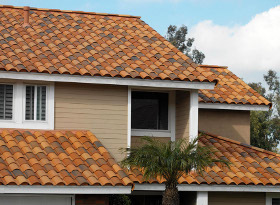 If you are having difficulty choosing from the exceptional options Shelton Roofing offers, or if you are in search of certified professional roofers in Menlo Park, Sunnyvale, or other nearby areas, do not hesitate to give us a call at (408) 837-0388 or (650) 288-1400. You may also click here to access our Contact Us page.